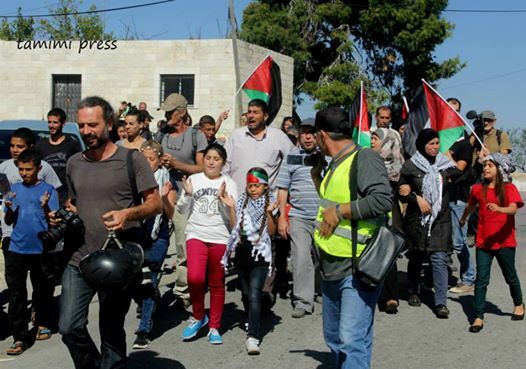 This morning, more than 100 Palestinians, joined by number of international activists staged an action protest at the entrance of Rami Levi’s supermarket in Sha’ar Benjamin settlement north of Ramallah, to protest occupation and settler terror. 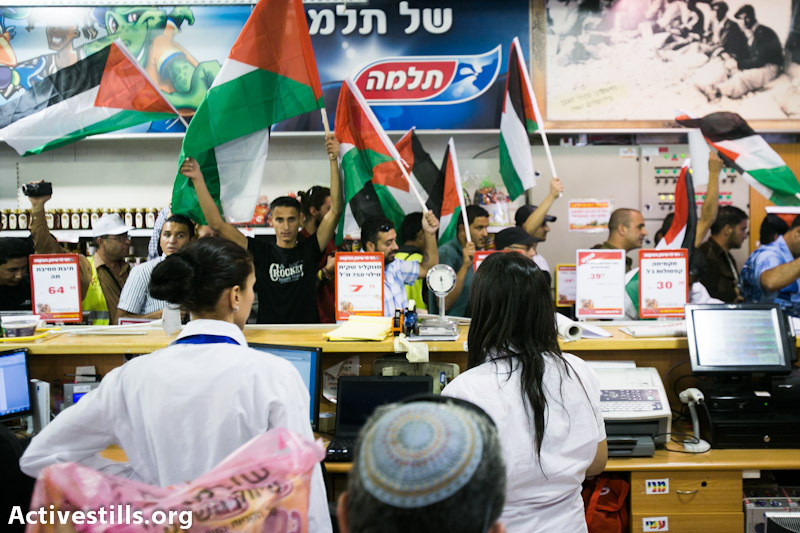 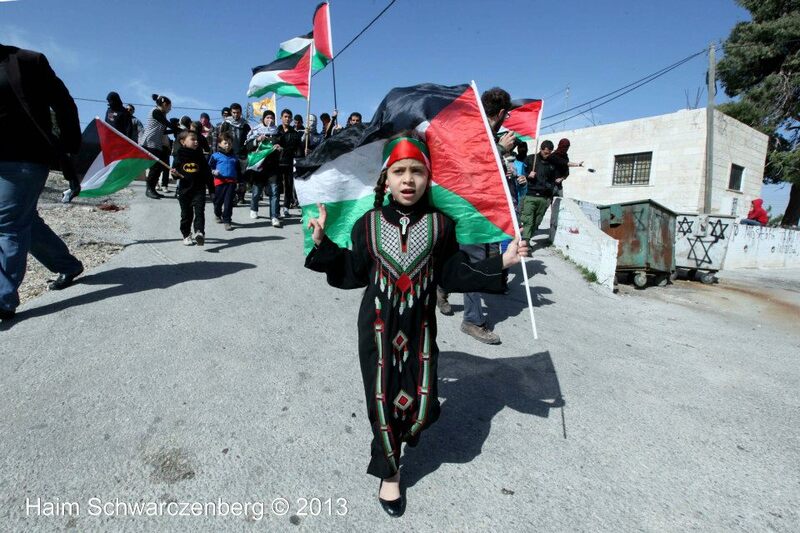 They entered the market and walked up and down the aisles chanting for freedom and waving Palestinians flags. 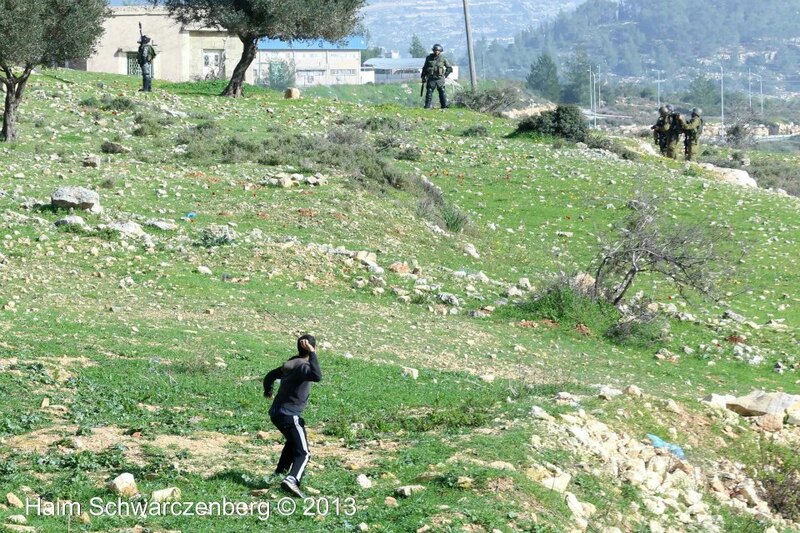 As activists exited the building, about forty policemen and soldiers were waiting outside, they attacked physically the demonstrators and fired stun grenades at them, causing several injuries, two of which were taken by ambulance to the hospital. 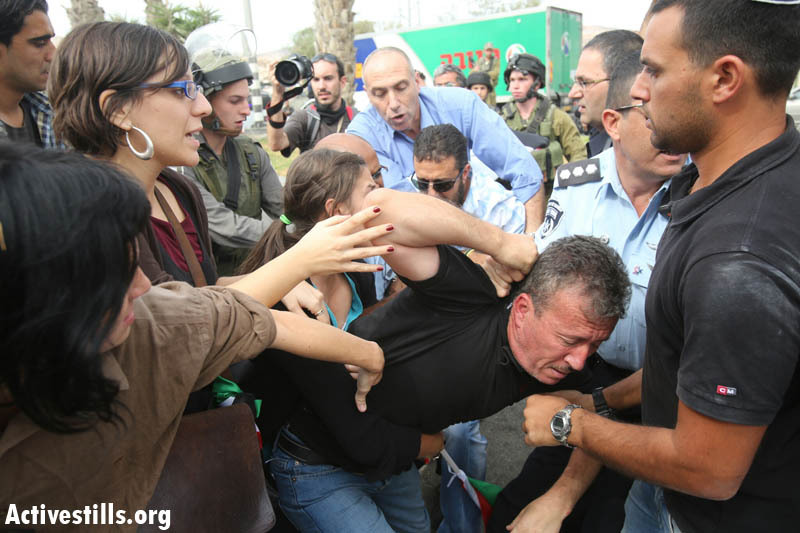 Four people, including Basim Tamimi, the head of the Popular Committee of Nabi Saleh, were beaten and arrested by Israeli police. 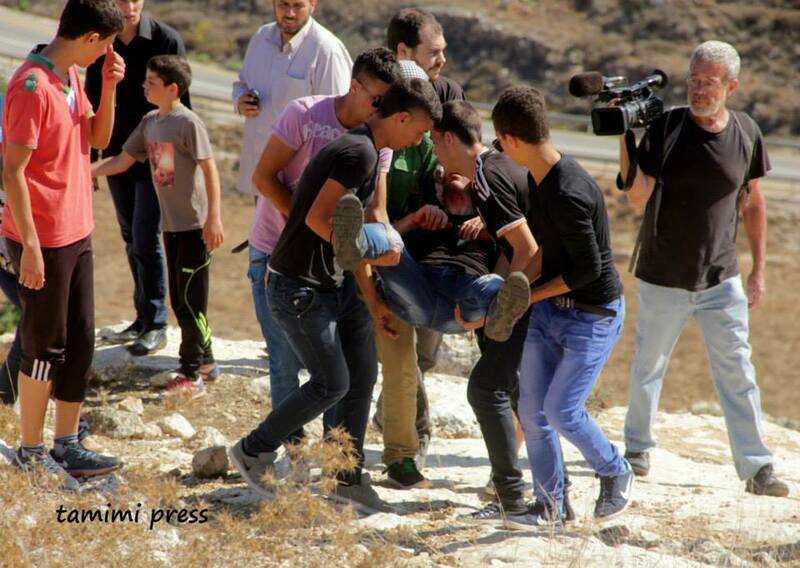 Tamimi’s ribs were broken and several Palestinians were injured. 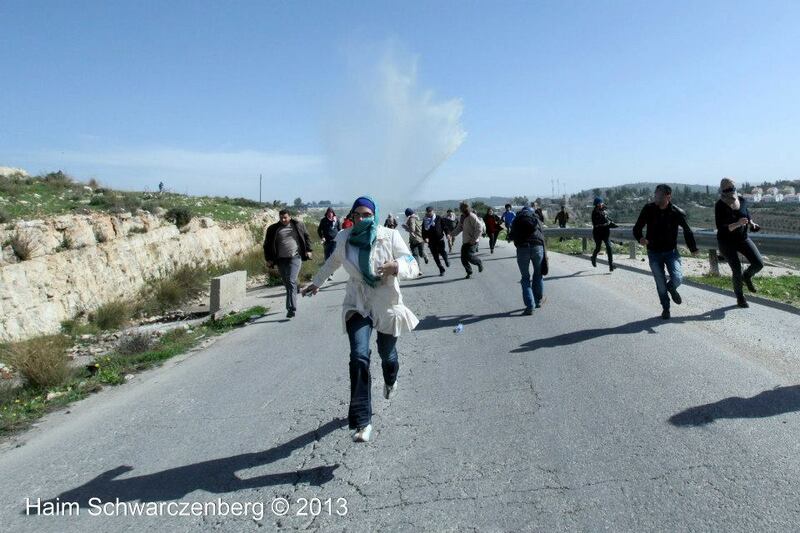 Protesters called for the boycott of occupation and all its products, and stressed that “as long as there is no justice to Palestinians, Israeli and settler daily life can’t continue on as normal.” Two of those arrested were Palestinians including Bassem Tamimi in addition to two international activists, an American and Polish. 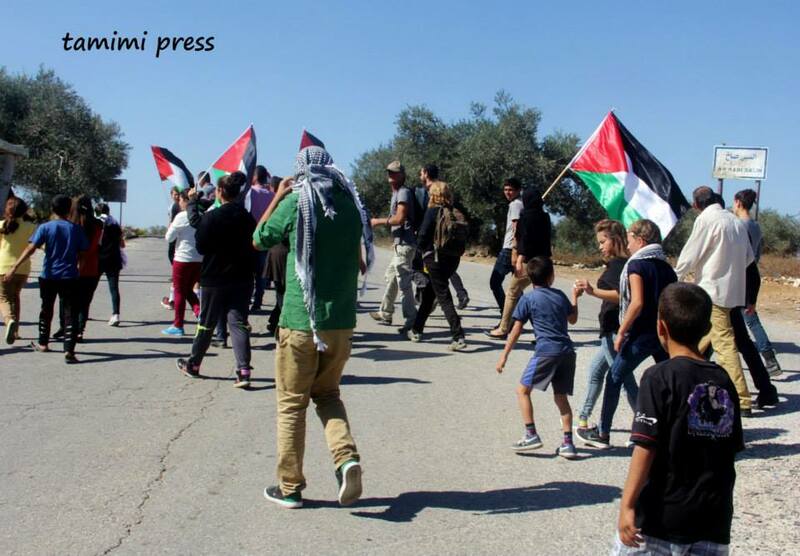 The protest was part of Popular Struggle Committees’ actions to protest the occupation and settlers terror against Palestinians. 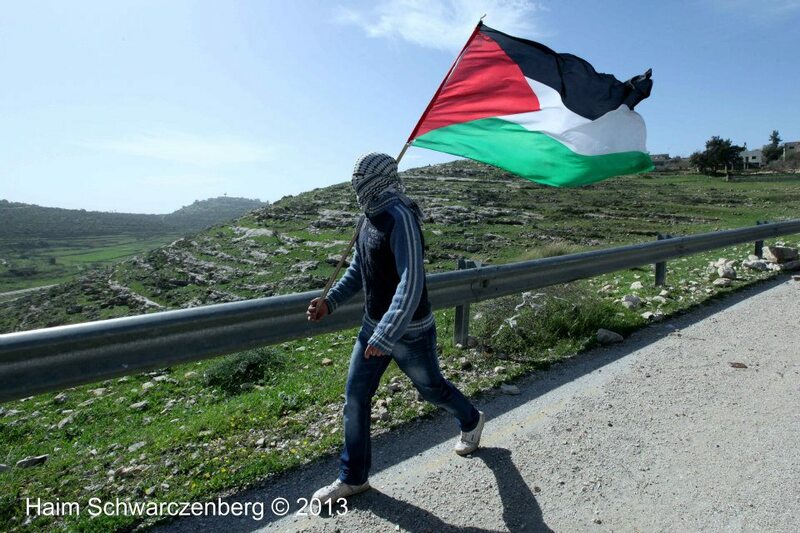 Last week about 50 Palestinian activists blocked the Apartheid Road 443 (known as Modi’in, which passes on West Bank lands, connecting Tel Aviv to Jerusalem). 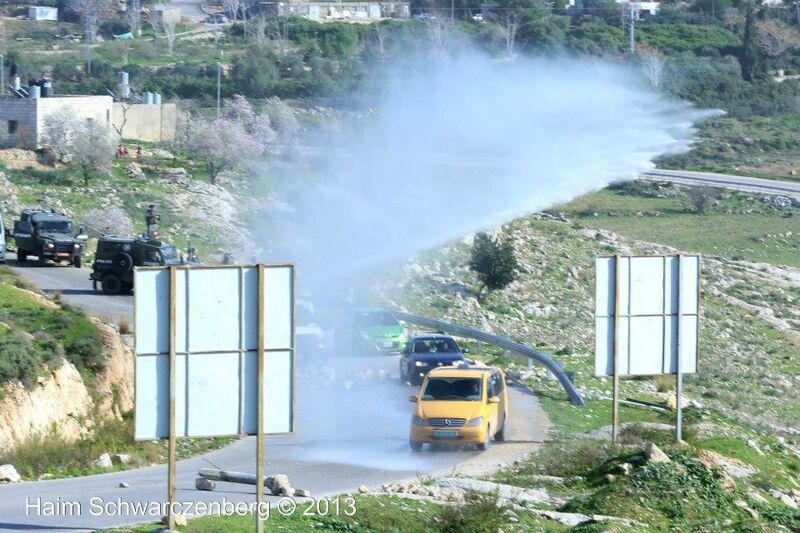 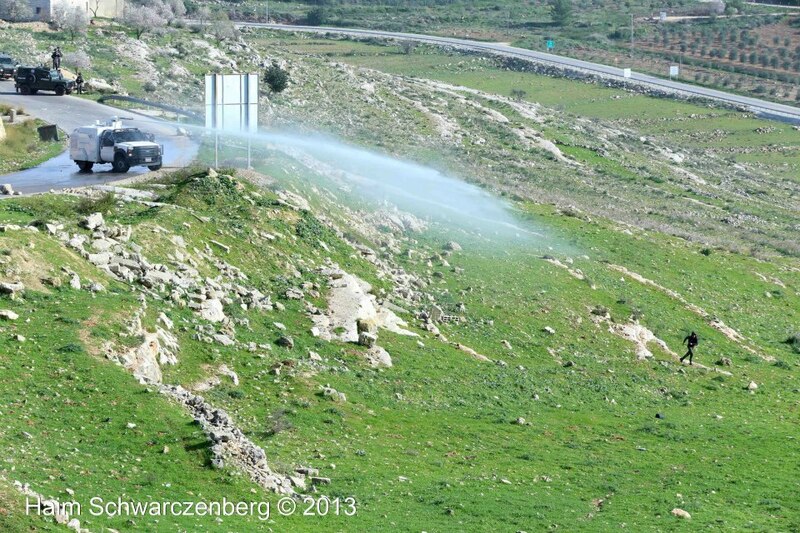 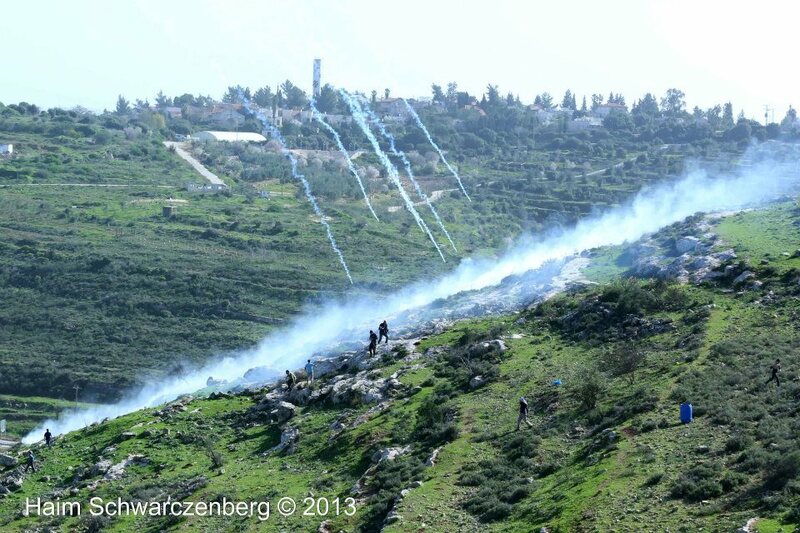 The road was blocked for about 30 minutes to Israeli and settler traffic.